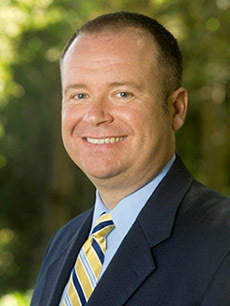 Shaun B. Keister, a veteran fundraiser with experience in higher education, arts and conservation philanthropy, became UC Davis’ first vice chancellor for development and alumni relations in 2011. Keister functions as the campus’s chief fundraising officer and also serves as president of the UC Davis Foundation. He led UC Davis in successfully completing its first comprehensive fundraising campaign, The Campaign for UC Davis, raising more than $1.1 billion from nearly 110,000 donors. Under his leadership, UC Davis became one of the top 2 percent of fundraising programs in the U.S. according to the Council for Advancement and Support of Education (CASE). For the Future: the Campaign for Penn State Students, a $2 billion fundraising effort, in which Keister played a role as associate vice president for development. Campaign Destiny: a $458 million campaign launched at Iowa State while Keister was the assistant vice president for development services. Keister is a nationally-renowned fundraising expert having been quoted in local and national media outlets including CNN Money, The Chronicle of Philanthropy, CASE Currents magazine, The Sacramento Bee and Fox 40 News. Additionally, he has nearly 20 years as an independent fundraising consultant serving clients including the San Francisco Opera, Steppenwolf Theatre, World Wildlife Fund and The Nature Conservancy, and more than 60 public and private universities. Keister has served as a CASE member and volunteer, speaking at more than 20 international conferences. He is the 2005 recipient of the CASE Crystal Apple Award for excellence in teaching. He has a bachelor’s degree in political science from The Pennsylvania State University and a master’s and doctoral degree in sociology from Iowa State University of Science and Technology.